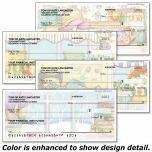 Laminated placemats make cleanup a breeze! 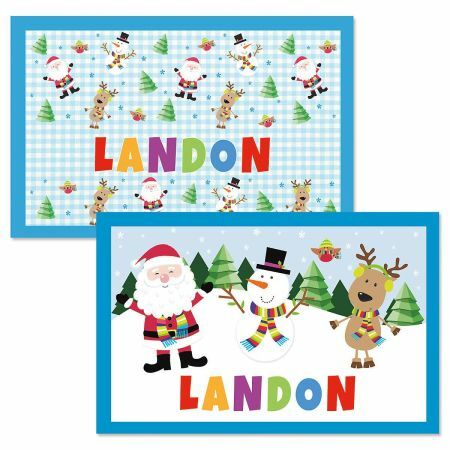 Personalized on both sides with your child's name, 11" x 17" mat features a different holiday design on each side. Great Christmas gift for kids!